It started a few months ago. At first, I didn't think much of it. Yes, my lips were as dry and flaky as a stale croissant, but that happens every winter, so I persevered, layering on the same lip balm that usually gets me out of this mess—La Mer The Lip Balm (£50). But something about this bout of dryness was different. No matter what I did, it wasn't going away. I became increasingly self conscious of the situation. My lips were physically flaking off as I spoke, and I could have sworn it was all people could look at when I spoke for weeks. And it got worse. The dryness spread quickly to my chin, covering the area the size of a plum around the outer corner of my mouth. I soon realised I wasn't just dealing with a bit of dry skin. This was eczema, a condition I hadn't experienced since its signature pinot noir tone and maddening itch plagued my inner arms and the back of my knees when I was at primary school. I thought I had left it behind. 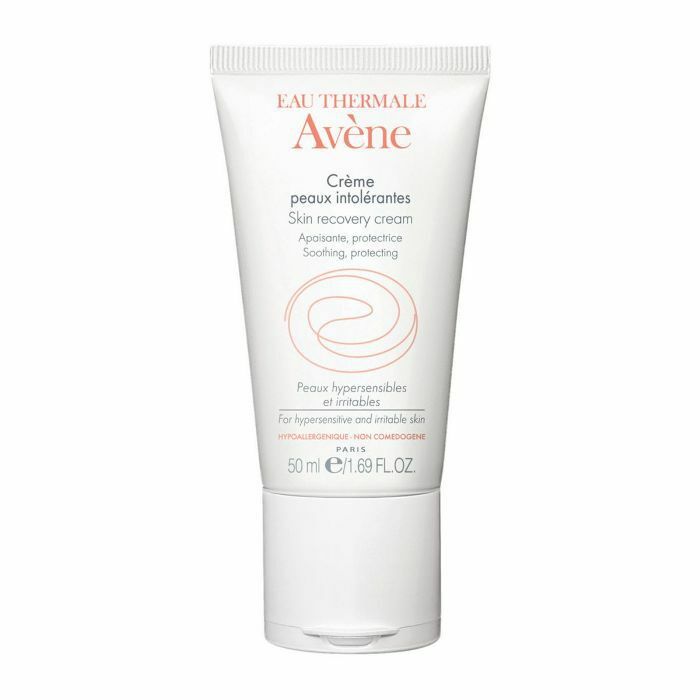 My knee-jerk reaction on this realisation was to do what any self-respecting beauty editor never, ever would—I went in on that bugger with the harshest exfoliator I could find, swiping AHAs over the patch like I was watering a flowerbed in drought. Of course, my skin didn't like this, and the eczema around my mouth got angry—very angry—turning a deeper shade of red and a more ferocious shade of itchy. The only thing I found comfort in was Skinowl's Lavender Beauty Drops (£24) but while this oil took the sting away, the eczema remained. In a virtuous twist of fate, in the same week things were really bad, I had the chance to meet with Alexis Granite, MD, consultant dermatologist at the new skin clinic Mallucci London. As soon as I sat down with Dr. Granite, I could feel a solution was on the horizon—that's how comforting she is. And as it turns out, she's especially clued up on the issue of eczema. After I explained my skin situation and she took a closer look, she confirmed that yes, the dry, red skin around my mouth was exactly what I had suspected—eczema, or perioral dermatitis, as it's also called. Within 10 minutes, Dr. Granite had written down the appropriate course of action (note: not an exfoliator in sight), and considering her advice saw my eczema disappear within days, I guessed it would be pretty helpful to share with you guys too. "Eczema is a hypersensitivity of the skin, and a lot of times it's hereditary," revealed Dr. Granite, which makes sense—my dad has it too. "It tends to be grouped with hay fever and asthma, and they're all atopic conditions. Asthma is a hypersensitivity of the airways; hay fever is the sinuses; eczema is the skin." I guess that along with my curly hair, my dad has passed down a few less favourable traits. "In your case, it seems to be a combination of both the atopic eczema that you had as a child flaring up, which could have been worsened by stress." She's certainly sized me up correctly. "[It could also be] an allergy to something you've put on your skin, considering you try so many products for work." "It's common in adults for eczema to localize to specific areas like the lips and eyes and hands," she revealed. So to the reader in The British Beauty Line who asked about her eyelid eczema—my story could seriously help you too. But I can't rule out a food allergy either. "In the past, we thought food allergies made eczema worse, but now the thinking is that your skin becomes almost 'leaky' and allows allergens to come in which you can then develop food allergies to," she explains. Oh man. "The thing I see a lot with eczema patients is that because skin as become broken, cracked and inflamed, bacteria are able to come in. They're not harmful in that they'll cause a systemic issue, but when bacteria sit on the eczema, they don't allow it to heal," she continues. "I see this a lot with patients who have had the eczema for months even though they're putting tonnes of steroids and anti-inflammatories on the skin. So I think we should probably do both for you—treat the eczema from the inside and from the outside." At this point, Dr. Granite recommends a five-day course of antibiotics called Keflex, which come stocked in most local pharmacies, but you'll need a prescription for it. That's no bad thing—you definitely want to be checking your own symptoms with your doctor before taking any course of action anyway. While I'm a bit wary of taking too many antibiotics, I realised I haven't had any for a good few years and so accepted this course of action. 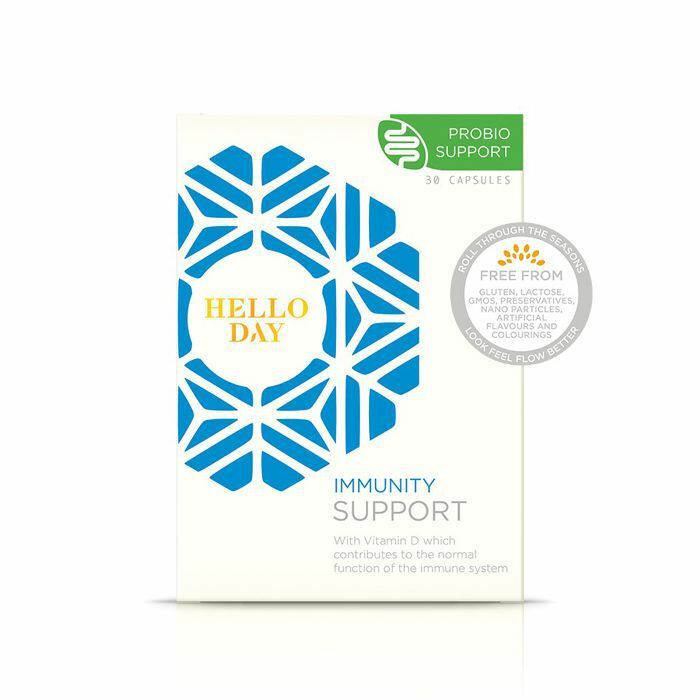 But not before I've stocked up on Hello Day probiotics to counterbalance the effect on my gut. Of course, in the business I'm in, it's my job to try as many new beauty products as humanly possible, and up until now, my skin had been able to handle it. But Dr. Granite was pretty certain that this recent eczema was triggered by an ingredient my skin just didn't get on with. She recommended I go completely back to basics with my skincare routine, which honestly, I welcomed. 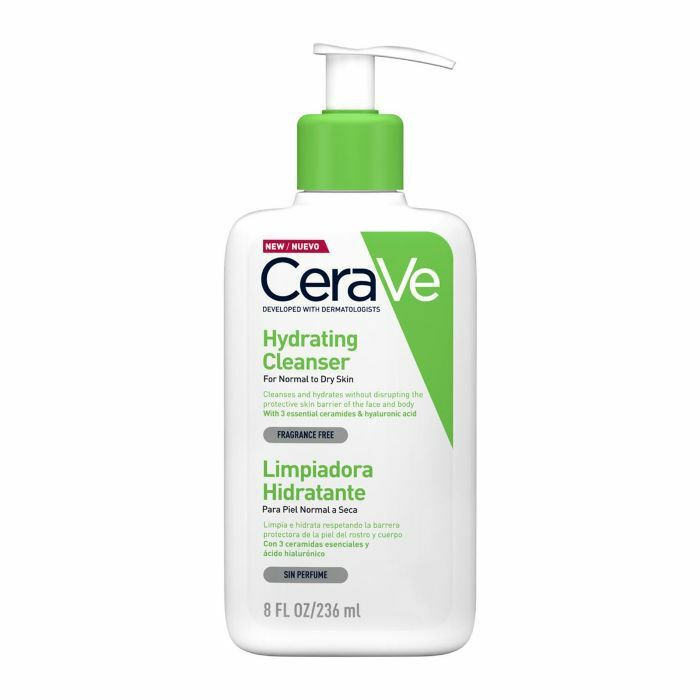 Rather than my fancy cleansers and creams, I switched everything out and plonked a bottle of CeraVe's Hydrating Cleanser (£9) and Avene's Skin Recovery Cream (£17) by the side of my sink. This is me now, I thought. So as well as the antibiotics, Dr. Granite prescribed me a cream to put on the offending area. Having spent a child rubbing harsh hydrocortisone over my skin, I knew I didn't want anything that was going to thin the skin, and thankfully she suggested Protopic. "It's a non-steroidal anti-inflammatory so it's a little safer to use on the face," she promises. From first application, my skin felt immediately more comfortable, although weirdly, it made my lips tingle like a plumping lip gloss. You apply it two to three times a day, and it basically hydrates the area so there's no sore flakiness while the internal meds do their thing. Again, you'll need your doctor to prescribe this, so ask if it would be right for you. "The lip is especially hard because obviously you're always licking your lips, and it just dries out so much," explained Dr. Granite. I always thought I was doing a good job applying lip balm religiously, but perhaps I needed to try out a new product. 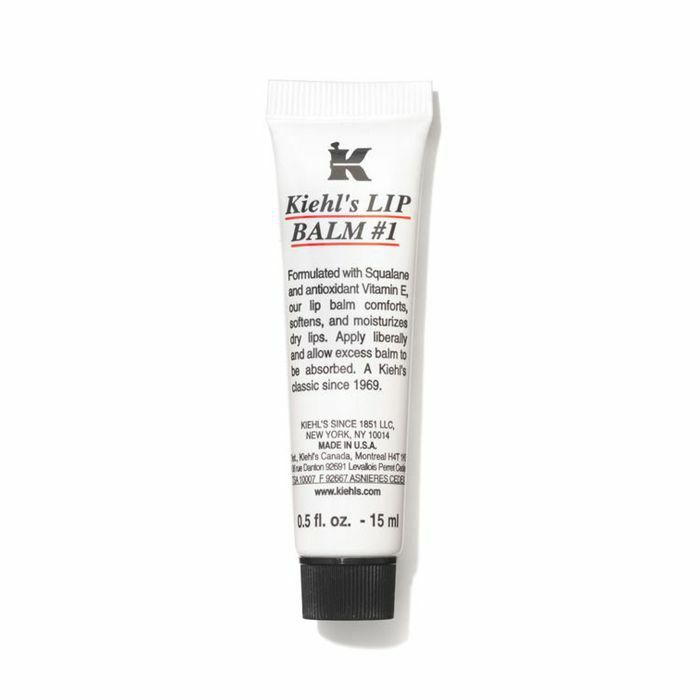 "Sometimes the wax in firmer formulas just sits on the top of the skin and doesn't let any moisture in," she revealed before recommending Kiehl's Lip Balm #1 (£10). It's super greasy, so it feels just like rubbing your lips with a face oil. I'm low-key obsessed. This course of action really worked, and I felt overjoyed. The eczema all but disappeared by the end of the next day, and having kept up the cream application for a further week, it doesn't show any signs of rearing its ugly head again. I'm going to stick with my pared-back skin routine, only switching in products I know I've never had an issue with, but should it flare up again, Dr. Granite has recommended I return for an allergy test called True Patch Allergy Testing. It tests 36 known skin allergens over a few days so maybe, finally, I'd find out what got me in this mess in the first place. For appointments at Mallucci London, visit the website.